This is from Natural Resources Canada. 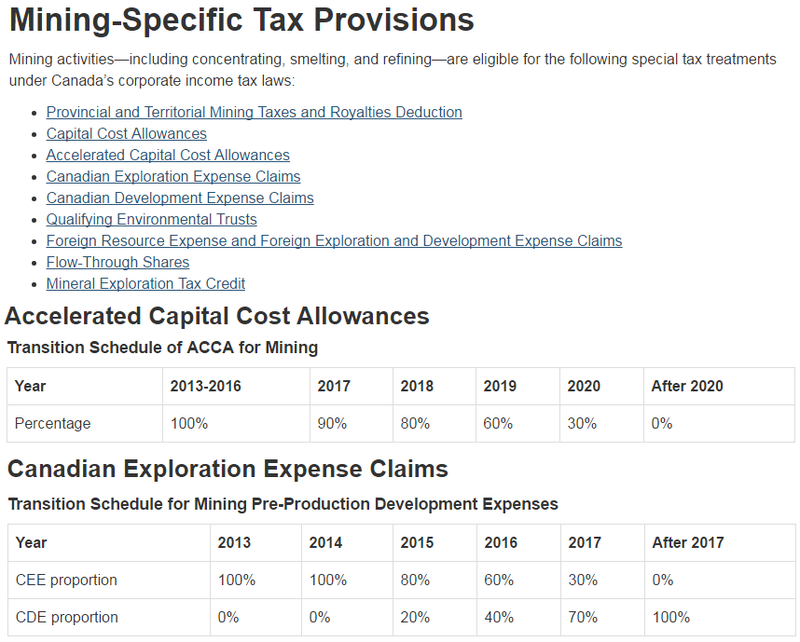 They seem to have a rational and non tax-hungry policy in mining there, lots of allowable deductions, they recognize the capital-intensiveness of mining with huge investments, machines and vehicles needed. Data as of January 2017. I also read this report in 2013. $7.1 billion a year in mining taxes, that's big. On top of revenues by mining firms, job creation, community projects, etc. The Philippines, which is supposed to be a mining powerhouse with an estimated mineral potential value of around US$ 1 trillion, is not able to optimize its mining potentials because of its generally unfriendly regulations and taxation policies. The politics of envy and heavy ecologism is wrong. * This is my article in BusinessWorld on March 30, 2017. While there is continuing (legal and political) debate whether extrajudicial killings (EJK) are happening in the Duterte administration or not, there is no debate that thousands of mysterious murders, often drug-related, have occurred since President Duterte won the May 2016 elections. I have no sympathy with drug lords, drug pushers, and hardened drug users/addicts who steal and commit other crimes just to sustain their addiction and trade. But I also believe that all suspects should be given due process. Armed agents of the state (PNP, NBI, PDEA, sometimes the AFP) should go through the legal process of investigation-apprehension-prosecution cycle and not commit shortcuts of outright murders based on flimsy reasons like “nanlaban eh” (fought the officers) even inside police precincts or even inside the prison cells. There are many drug-related murders that are outside the “killed during police operations” and these were committed by armed vigilantes. Some of these “vigilantes” were found to be policemen themselves like the two officers caught in Mindoro last October 2016 after they murdered a woman. To better address the drugs problem and related corruption and murders, we can learn from our neighbors in Asia how they enforce the rule of law, the criminal justice system in particular. The World Justice Project (WJP) produces an annual study, the “Rule of Law Index” (ROLI) and score countries based on their performance on eight factors and 44 sub-factors. The eight factors are: (1) Constraints on Government Powers, (2) Absence of Corruption, (3) Open Government, (4) Fundamental Rights, (5) Order and Security, (6) Effective Regulatory enforcement, (7) Civil Justice, and (8) Criminal Justice. The WJP’s Index team has developed a set of questionnaires based on the Index’s conceptual framework, then it engaged 2,700 expert surveys in 113 countries and jurisdictions and involved more than 110,000 households as respondents to the experts’ questionnaires. Below is a summary table from ROLI 2016 in Asia. The Philippines’ scores in ROLI 2014 and 2015 reports are also included. The following acronyms stand for: SG Singapore, SK South Korea, JP Japan, HK Hong Kong, MY Malaysia, ID Indonesia, TH Thailand, PH Philippines, CN China, and CM Cambodia (see table). One, Singapore, South Korea, Japan, and Hong Kong are developed economically mainly because they have high observance and respect for the rule of law as reflected in their high ROLI scores, also high scores in component #8, the criminal justice system. In contrast, communist China and Cambodia have low respect for rule of law and have low scores. Two, ASEAN 5 -- Malaysia, Indonesia, Vietnam, Thailand and Philippines -- have middle scores in overall ROLI, which is somehow good news. But in component #8, Indonesia and Philippines have low scores. Three, the Philippines has shown consistent low scores in component #8 for the past three years. In particular, very low scores in the four highlighted items -- CS Adjudication and Correctional system are not effective, the Justice system is highly discriminatory and due process is not properly observed. Some of our developed neighbors like Singapore have death penalty against drug-related crimes, true. The difference is that the accused are given due process and the chance to prove their innocence and not summarily executed just based on suspicions. What deters criminal behavior is stricter observance of the rule of law, the near-certainty of apprehension and imprisonment of violators, even if they may be the law enforcers themselves. This is the kind of criminal justice system that we need. Not state-sponsored or state-inspired or state-tolerated murders. Bienvenido S. Oplas, Jr. is the head of Minimal Government Thinkers and a Fellow of SEANET; both institutes are members of EFN Asia. 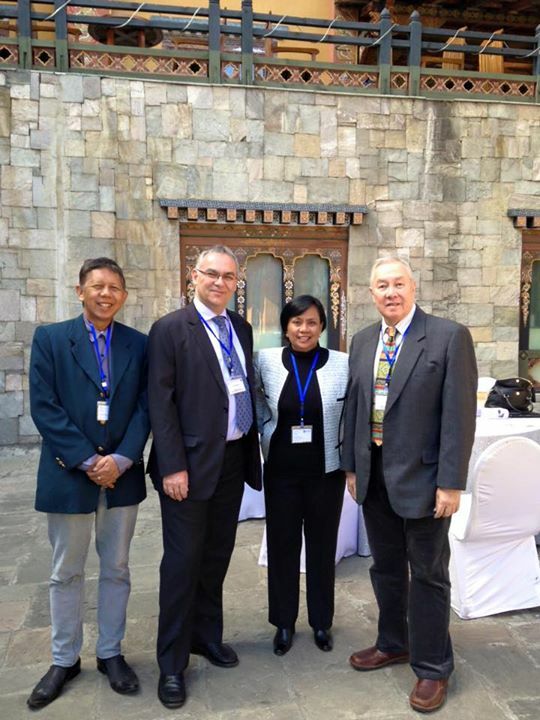 I forgot to post this earlier, my talking points when I hosted one of the "Asian Café" on climate change, EFN Asia Conference 2015 in Bhutan. I don't have any picture during the small group discussion, here with FNF Regional Director for E and SE Asia, Siggi Herzog, and SWS' Mahar Mangahas. 1. How does climate change (CC) manifest itself affecting people, economies and happiness? 2. What does current evidence and projections say about the future? 3. What are some existing successful responses to ensure resilience and adapt to changes, particularly from economic development point of view? (a) The Philippines is the 12th biggest country in the world in terms of population size, 101 million people, July 2015. (b) Archipelago, 7,100+ islands and islets. Lots of active and inactive volcanoes. And earthquakes too, average of around 3 EQs a day, though mostly too mild to be felt only by seismographs, or they happen under the sea. (c) Capital is Metro Manila, composed of 17 cities, with estimated population of almost 13 million. During weekdays, this bloats to around 16 million as students and workers from neighboring provinces and cities flock to the big city. 1. How does CC manifest itself affecting people and economies and happiness? After experiencing some huge storms and very wet conditions in recent years due to the last La Nina, we currently experience a big El Nino that affects the Philippines and other countries in the tropics. So we expect drought conditions in the dry months of December-May. But it is not the “Godzilla” of El Nino as reported in many papers, rather comparable to the other big El Nino in 1997-98. Countries and Time, 1993-2010”, Presented at the 2013 Research Session of the ISSP Meeting, Santiago, Chile, April 28 to May 1, 2013. Published by the Social Weather Station (SWS), Manila. So public awareness of climate change is low compared to “gut issues” like healthcare, economy. Current evidence and projections say that we are entering the global cooling phase, after the global warming phase of the last century. 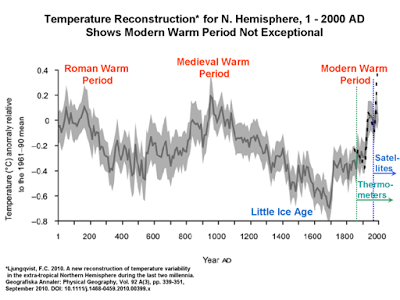 CC is natural (nature-made, not man-made), it is cyclical (warming-cooling-warming-cooling). 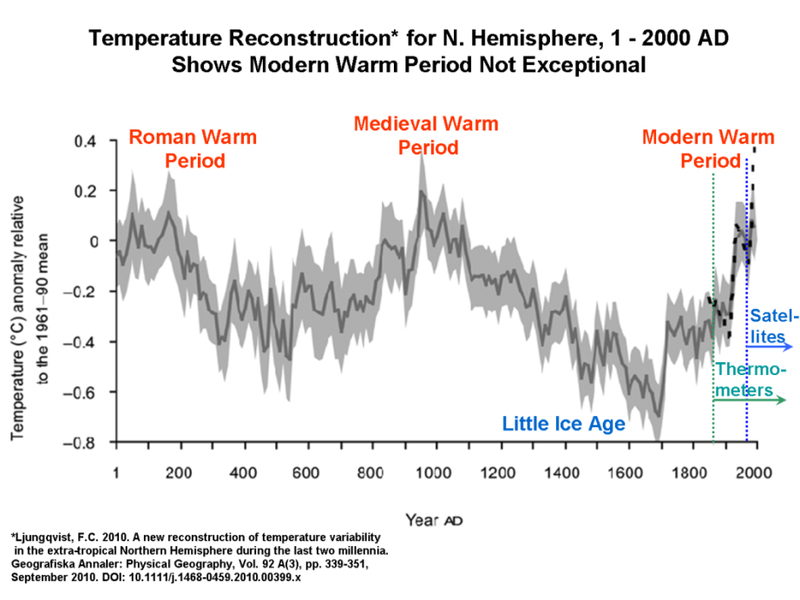 Source: Dr. Roy Spencer, Senate EPW Hearing: “Climate Change: It’s Happened Before”, July 19th 2013. 3. What are some existing successful responses to ensure resilience and adapt to changes? Focus on energy, the Philippines is putting up more coal power plants as we have the 2nd highest electricity prices in Asia next to Japan, because of insufficient power supply and various taxes and charges imposed on electricity. These new coal plants will help expand electricity supply and help reduce electricity prices. Many big Asian economies rely heavily on coal and natural gas for their electricity needs. In particular, these countries have more than 90% of their total electricity coming from fossil fuel sources: Thailand, Malaysia, Singapore, Hong Kong, Kazakhstan and Bangladesh. Source: International Energy Agency; ADB, Key Indicators for Asia and the Pacific 2015. * This is my article in BusinessWorld last March 29, 2017. A piece that I wrote for this space, “Seven myths in the mining debate” (March 15), has attracted attention from many readers, expressing either support or disagreement. One even sent an angry comment via e-mail. So I will add additional myths in the continuing debate on the issue. 1. Mining contributes small, only P70 billion a year in gross value added (GVA). 2. Mining tax payment is small at only P3 billion a year. 3. Employment share of mining is very small at only around 100,000 workers. 4. Very small benefits, better stop all mining activities. 5. Open pit mining must be banned anywhere. 6. Closure of many mining firms means better investment environment. 7. Mining is entirely useless, we should have none of it. 1 Large-scale mining covers a huge area of the Philippines. What made the impression of “huge mining areas” include those under small scale mines (SSM) like in Mt. Diwalwal. 2 Large-scale mining is the biggest cause of soil erosion. Wrong. Very often, it is deforestation or conversion of forest land into pasture land, agriculture land, or simply the endless cutting of trees in public forests. The DENR is not exactly known to efficiently address these problems because it prefers to take more political noise in mining. 3 More mining areas result in more poverty. Generally wrong. The top 20 poorest provinces in the Philippines and their poverty incidence are: (1) Tawi-Tawi 78.9%, (2) Zamboanga Del Norte 63.0%, (3) Maguindanao 62.0%, (4) Apayao 57.5%, (5) Surigao Del Norte 53.2%, (6) Lanao Del Sur 52.5%, (7) Northern Samar 52.2%, (8) Masbate 51.0%, (9) Abra 50.1%, and (10) Misamis Occidental 48.8%. (11) Agusan Del Sur 48.7%, (12) Oriental Mindoro 47.1%, (13) Sulu 46.5%, (13) Occidental Mindoro 46.5%, (15) Kalinga 45.8%, (16) Surigao Del Sur 45.4%, (17) Mountain Province 45.0%, (18) Sarangani 44.8%, (19) Lanao Del Norte 44.1%, and (20) Negros Oriental 43.7%. (Source: NEDA, Philippine Development Plan 2017-2022). 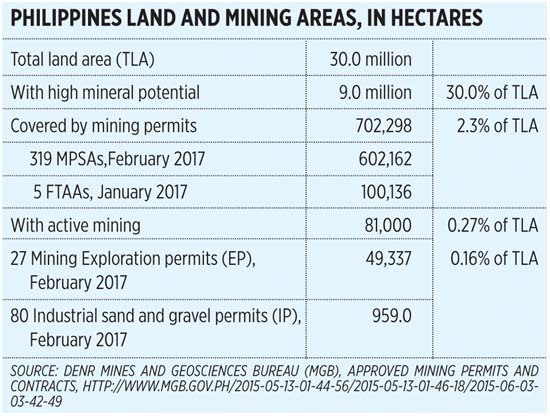 Of these, only five host big mining companies (with an area of at least 4,000 hectares): Zamboanga del Norte (2 firms), Surigao del Norte (5 firms), Surigao del Sur (3 firms), and Mindoro Occidental and Oriental (2 firms). 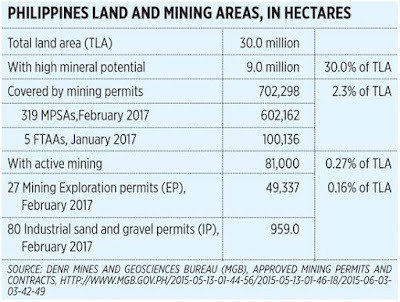 These 21 provinces hosting big mining companies (at least 4,000 hectares) are not in the Top 20 poorest:, Zamboanga del Sur (Siennalyn Gold, TVI, 168 Ferum, Vilor), Sultan Kudarat (GRCO Isulan), Agusan del Norte (Agata), Davao Oriental (Hallmark, Austral-Asia Link, Dabawenyo Minerals, Sinophil, Oro East), Dinagat Islands (East Coast), Compostela Valley (Napnapan), Sarangani (Hard Rock). Capiz and Iloilo (Teresa Marble, Parvis Gold,), Samar (Alumina, Bauxite), Leyte (Explosive Consult., Fastem Construction, Strong Built), Palawan (C. Palawan, Palawan Star, Pyramid Hill, Narra Nickel), Quezon and Camarines Sur (VIL Mines), Benguet (Philex), Zambales (Mina Tierra, Eramen), Cagayan (Peniel, JVDC, T&T, J&M), Nueva Vizcaya and Quirino (Oceana Gold), Ilocos Sur and Pangasinan (Altamina Exploration). 4 Mining can stop in the Philippines but continues in other countries. Wrong. Mining is either good or bad; if bad then mining should stop worldwide, the same way that anti-coal campaigners want all coal power plants to close worldwide, not just in the Philippines. If mining is good abroad then the good practices should be adopted here. The law in post-Marcopper mining disaster in Marinduque, the Philippine Mining Act of 1995 has been hailed by many countries as the one of the world’s first stringent mining laws. 5 Open pit mines are destructive and not done in developed countries. Wrong. Six of the 10 biggest and deepest open mines in the world are found in the US (Bingham Canyon, Hull-Rust-Mahoning), Canada (Diavik Diamond), Australia (Super Pit) and Russia (Mir Diamond Mine, Udachny Diamond). The other four are found in S. Africa (Kimberly Diamond), Indonesia (Grasberg Mine), and Chile (Chuquicamata Copper, Escondida Copper). 6 DENR Secretary’s closure of mining firms follows the rule of law. Mining practices that follow international and national regulations should continue and contribute to economic modernization and job creation. Those that violate these laws deserve suspension or closure. 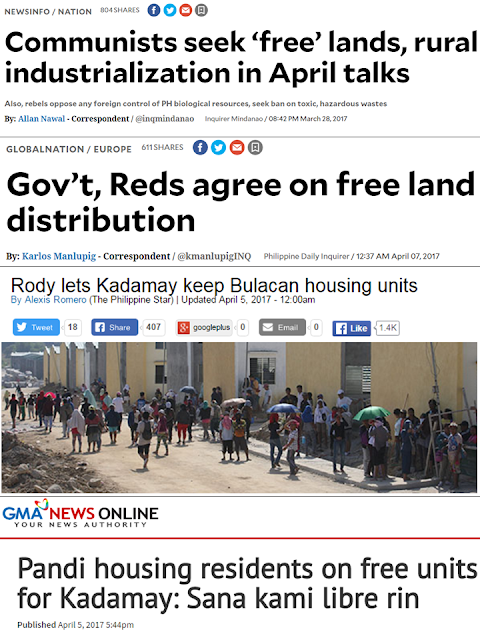 Free land, free housing, free education, free healthcare, free cash transfer, and so on. And soon free iPad, free tricycle or free car for the poor. If this is done in the Philippines or in any other country, then many people will stop working.Or they may work 6 days a week but also drink and party 6 nights a week and have zero savings. 100% formula to be poor. Then they will be entitled to those freebies that will not be given if they are not poor. The targetted beneficiaries will expand every year, or every month. When anti-capitalism, anti-inequality NGOs, politicians, academics, etc. advocate that "If you are poor, you are entitled to lots of freebies", then more people will declare themselves poor, they will scream and curse if government does not give them the freebies. About four decades ago, it was estimated that about 1/3 of the population was poor. Today, it is estimated that nearly 1/3 of the population is poor. And 3-5 decades from now, various measurements will say that nearly 1/3 of the population is still poor. Meaning the endless subsidies and various welfare programs will continue, and gov't will keep expanding the budget and public debt, will further raise taxes or create new ones, because "poverty remains high". Raket na, large scale. Before, the poor were mostly walking or riding cows, horses and bicycles. Now the poor are mostly riding motorcycles, tricycles, e-bikes, jeepneys. Before the poor were using smoke signals or doves or snail mail to communicate, now they use cellphones with fb, twitter, emails. There is marked improvement in the quality of life of the poor yet by official measurements, "poverty remains high". Raket na, large scale. I can understand new welfare programs, they are implicit and explicit admissions that some old but still existing welfare programs are not working and simply waste of taxpayers money. So if new welfare programs have to be created like the CCT, some old welfare programs should be abolished and defunded. This is not happening. The racketeers in these non-working programs create endless alibi that they are still relevant, and OP and Congress agree, so tuloy-tuloy ang over-spending, over-borrowing. 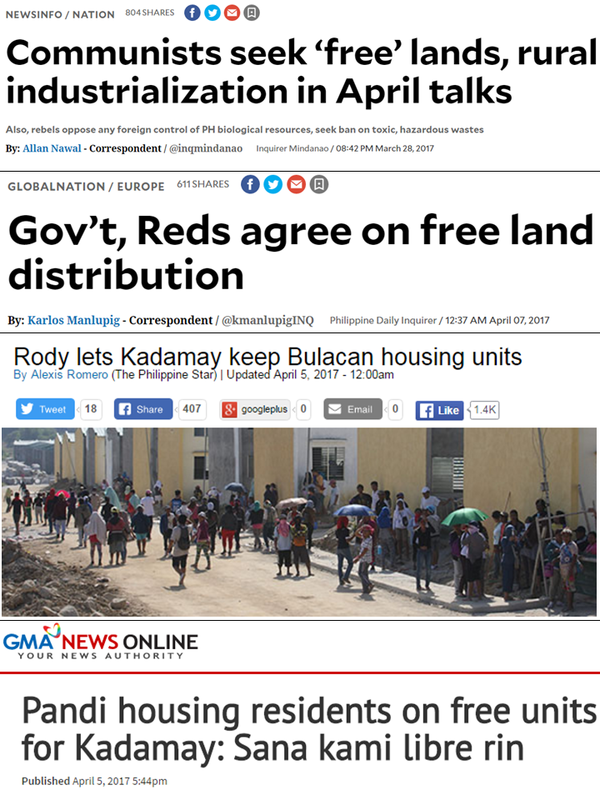 Now these two developments -- CPP-NPA-NDF negotiators in Europe who are mostly non-Filipinos anymore and have acquired European citizenship -- demand free land distribution to farmers. And squatters or illegal land settlers have moved further, became illegal housing settlers. And they were rewarded by the President, the houses they illegally occupied is given to them for free. Many people are demanding for social revolution -- towards more citizen dependence on the state, towards more state worship. Society of batugan, tamad and irresponsibles. A government that's big enough to give everything you want will also be big enough to take everything you have.